In some ways, it’s easier than ever for U.S. schools to serve local food. Once upon a time, tight distributor contracts and lack of federal support made it challenging for a school to source local foods for their cafeteria menus. Changes in federal legislation in 2008 and 2010, as well as the onset of the U.S. Department of Agriculture’s Farm to School program, have helped schools make connections with local food producers and helped put more local foods in front of students. 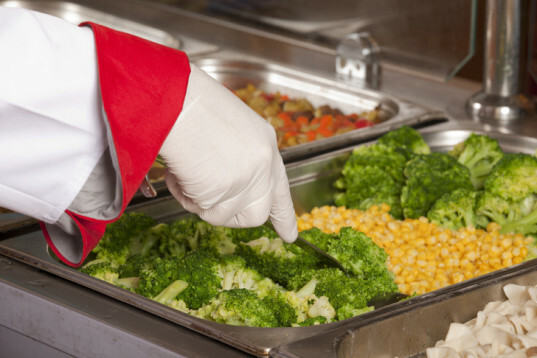 A progress report conducted via survey by the USDA shows that just 36% of schools across the nation are now serving some local foods in their cafeterias. Why isn’t that number higher? The issue is a little more complicated than whether a school wants to offer local foods or whether they have access to any. In fact, a wide range of factors contributes to the decision, and it’s not always up to the individual school leaders, either. City and county school boards, local laws, and even the farmers themselves all play a part in how possible school-farm relationships are in each locality. Many schools have been able to sign on with local suppliers for everything from carrots to beef, but it’s not without some difficulty. So, here’s the strange thing. One might think that the highest concentration of schools serving locally-sourced foods would be in the areas where the most local foods are available. But that’s not the case. Big Ag states like California and Washington aren’t serving up nearly as much local eats as are New England states like Maine, Vermont, Maryland, and Delaware, according to the survey. 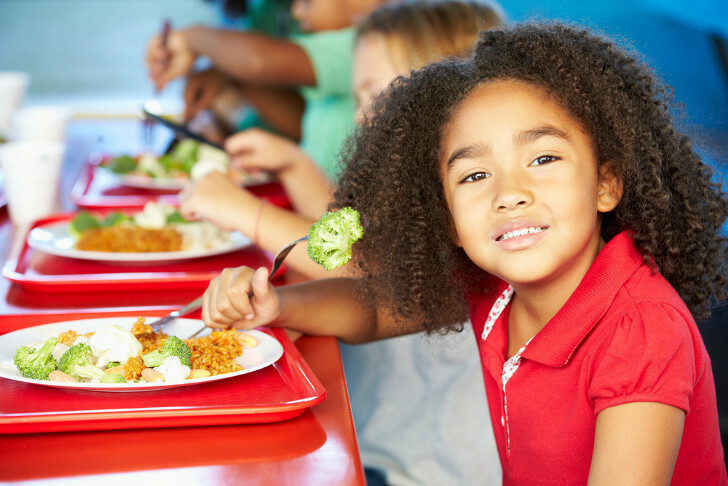 Of the 36% of schools that do incorporate some local foods into their menus, the USDA survey found that only 13% of the average food budget was being spent on local foods. Those figures aren’t enough to pass the ‘locavore‘ test, but at least it’s a start. According to those watching the issue carefully, the reason that local foods don’t show up more in school is pretty simple. It’s bureaucracy. Despite the loosened federal regulations, there are still a lot of obstacles for schools sourcing local foods. It’s the contracts, the paperwork, the liability insurance, and the particulars of product supply vs. demand. That is to say, the thing that is keeping local food out of the mouths of growing children is the last thing we want to hear about: red tape. Essentially, what’s happening on a larger scale is slow progress. More schools are certainly interested in local foods than they once were, both because of the potential to support local agriculture as well as bring healthier foods to school children. Although there is currently a paltry amount of locally-grown foods being served to students, it represents a great increase from just a decade ago, and the numbers are continuing to climb, if slowly. Why aren't more schools serving locally grown foods?